I recently read the first two books in Daniel Silva’s Gabriel Allon series, The Kill Artist and The English Assassin. 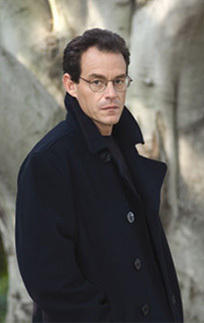 The Kill Artist introduces us to Gabriel Allon, the art restorer and reluctant Israeli intelligence operative. Retaliation against Allon for a previous mission has left his family in tatters. Allon is a highly sought after art restorer. However, the traits that make him so good at his job also make him a top-notch operative. In both books, Allon is recruited back for just one more mission. His contact at his intelligence agency, Ari Shamron, is a master at both deception and working the system. He keeps key details from Allon, while funding his operations without the knowledge of others in the agency or even the Prime Minister. There are numerous common elements to these books. The characters of Gabriel Allon and Ari Shamron, of course. But in both books, Allon has to deal with a beautiful and desirable woman, as well as the gallery owner who hires him as a restorer, Julian Isherwood. Both books deal with conspiracies that are larger than Allon could possibly deal with, but of course he does. He travels the globe in his quest for justice, or at least as defined by the elusive Shamron. The settings, characters, and plots are interesting and engaging. I will definitely read more of Silva’s books.